11 tracks: Yellow Tinker / Lady Montgomery / The Merry Harriers; Con Cassidy's / Dusty Millar; The Flower of Magherally; Brenda Stubbert's / Breen's / The Red Box; Inis Dhun Ramha; Jimmy Lyon's / The Teelin / The Red Crow / The Broken Bridge; Moll Dubh A' Ghleanna; The Wedding Jig / Hiudai Gallagher's March / James Byrne's / Mickey Doherty's / Welcome Home Grainne; Mallai Chroch Shli; Tommy Bhetty's Waltz; The Emyvale / Ril Gan Ainm / The Three Merry Sisters of Fate. 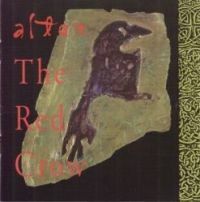 The Red Crow is a driving, danceable, emotionally charged, and sensitive journey into the Irish music realm. Donegal fiddler Mairead Ni Mhaonaigh sings in Irish and English, while flutist Frankie Kennedy and the band provide the backup, and when Mairead doesn't sing, she and fiddler Paul O'Shaughnessy play with verve and virtuosity. Produced by P.J. Curtis (The Bothy Band, Davy Spillane).